Providing support in the company platform should be the general responsibility of a customer service representative. 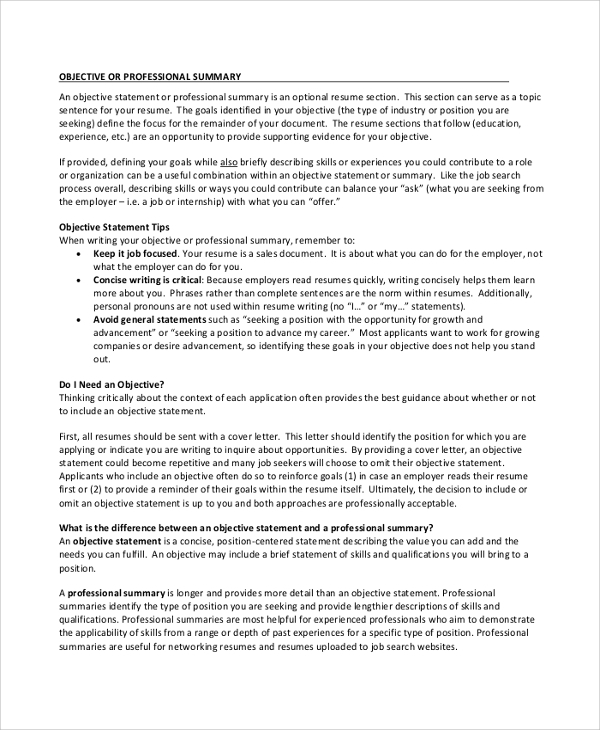 While writing the resume objectives part, you should never leave out your skills to handle customers for you to qualify for the job. In the teacher resume objective, he/she should include all their skills, experience in the field. Some of the qualities that should be on the teacher’s objective resume should include; motivating, initiative with high energy, verbal communication skills, patience, tolerance, decision making, critical thinking, planning and organizing, flexible to different circumstances. 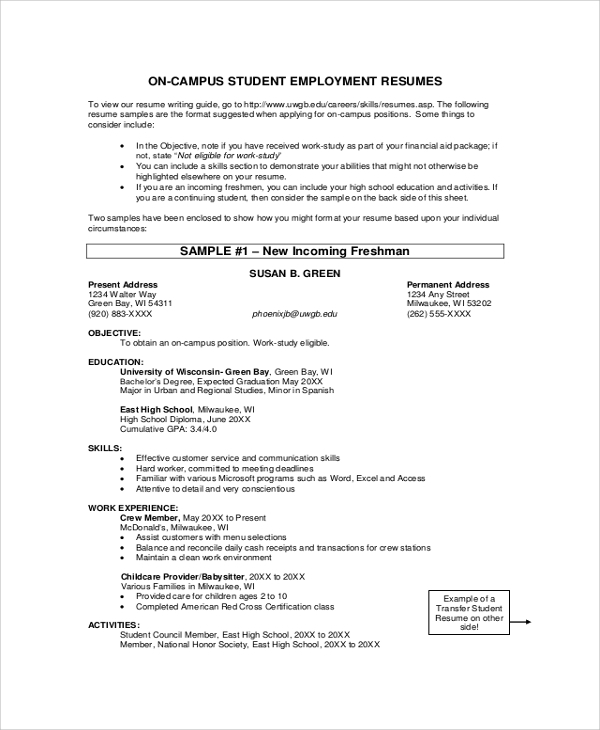 A nursing resume objective statement should clearly outline all the skills, qualifications, and experience. In this statement the nurse should mention whether they have worked as a nurse before or they are just straight from nursing school, they achievements should not be left out since they may increase their chances of getting hired. 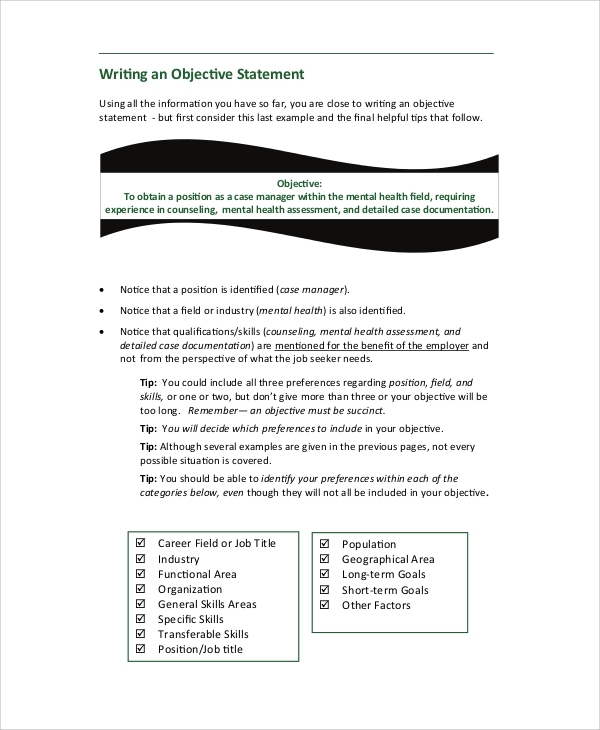 Why is Objective Statement Needed? 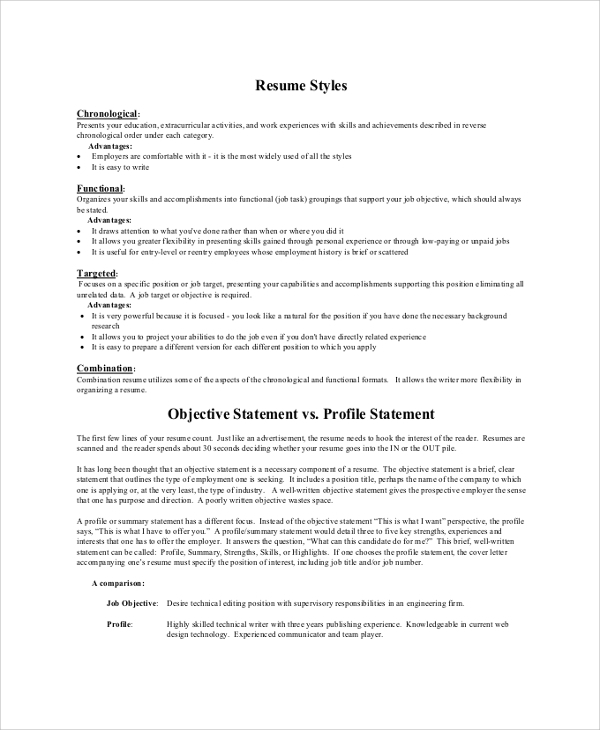 Most job seekers add a resume objective statement so as they can grasp the attention of the employer and hence improve their chances of getting hired. It is used to convince the employers that you are qualified, you got all the required skills to be given the job position. Having known this, job seekers should ensure that all the relevant information that may lead to getting the job should be included in the resume objective statement. This information includes their skills, work history, and other qualifications. Your weaknesses should not be included in the resume objective statement. 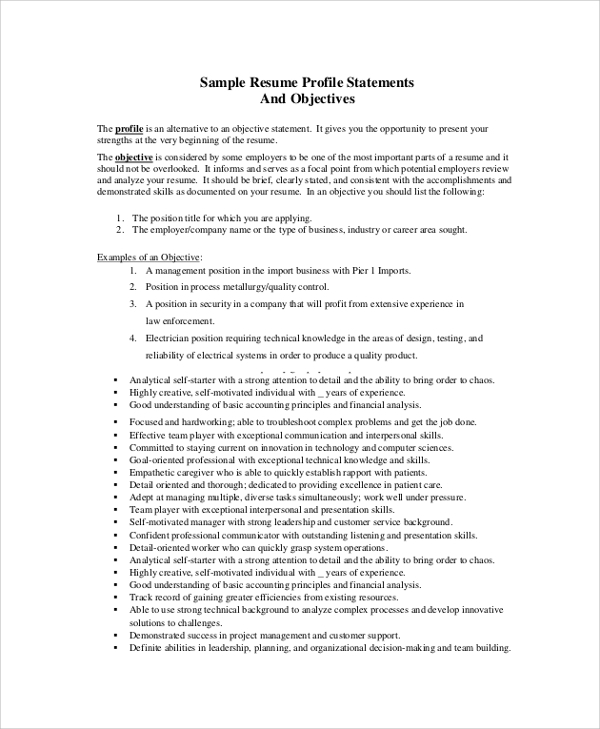 Who needs a Resume Objective Statement? Executive summaries are taking over the resume objective statements. 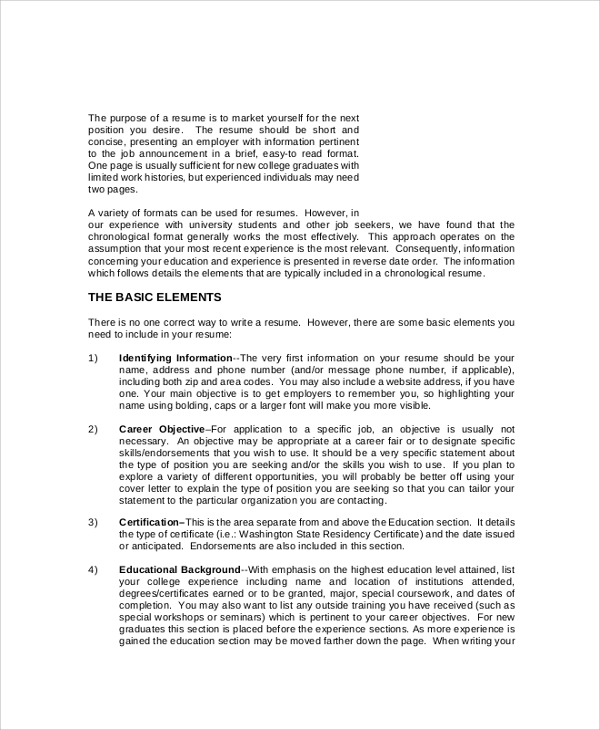 They provide the brief summary of job applicant better than the resume objective statement but still people who are not comfortable in writing executive summaries are advised to still use the resume objective statement as they are used for the same purpose.